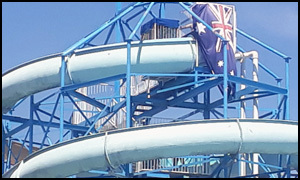 Information on Western Australia’s longest waterslide has been added to Dave’s Western Australia adventures! Spring time. 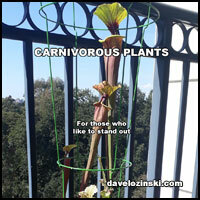 Some plants show their appreciation of the season by throwing up lots of flowers. With lots of flowers comes lots of bugs. Dave’s babies have their own solution to the bug problem. Rocky and Dave spent some time together on a road trip to play in a park. While we’re stuck waiting 1 more year for the exciting conclusion to Game of Thrones, here’s Dave playing the main theme song in tribute. Keep a special lookout for the Night King and dragons! Pictures of the Busselton Jetty have been added to Dave’s Western Australia adventures! Closer to home, Dave spent more time with Malibu!